Bob Givens is one of the grand masters of animation still highly active in the business. 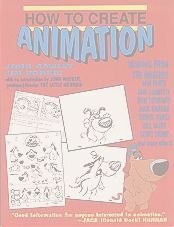 Though his career began at the Disney studio, he quickly moved over to Warners where he handled a large number of chores from character design (such as the first model sheet of Bugs Bunny), to layout to storyboard. A selection of his model sheets, for such characters as Bugs, Elmer and Little Hiawatha, appear in Steve Schneider's *That's All Folks: The Art of Warner Bros. Animation*. After Warners, he moved on to a number of other studios, returning to Warners in the Seventies to work on several of the compilation features. We caught up with Givens at his desk at Film Roman where he is currently doing key layouts for their ZAZOO U. The series debuted the Fall of 1990 on the new Fox Saturday morning schedule. Q: Could you please give a brief description of your career, including studios you've worked for, and the productions you've worked on? BG: Well, I started at Disney in 1937. They were hiring for SNOW WHITE and I started out in animation checking. We had to [at Disney] and it was great training. We didn't check too long because we were waiting to go on a film, but at least we had about three or four months of it. We learned camera and the whole bit. Everybody should do it when they start out. I worked mostly on the duck as part of the Donald Duck wing. From Disney's I went over to Schlesinger's studio to work with Chuck Jones and Friz [Freleng] and Tex [Avery] and those guys. At Warners I did the boards for maybe five hundred pictures, the classics. I worked with [writers] Mike Maltese and Warren Foster and the bunch. They would usually write and make some little kind of scribble. I'd put it in more comprehensive form. The boards were pretty close to the finished product, at least in the expressions. Mel Blanc recorded from those damn things! They were looser but it was all there. At the same time I was doing boards, I was also doing characters. I'd spend a couple of weeks on the board, then whatever time was needed on characters. Then from there I went over to UPA. In the Fifties I did ten years of nothing but commercials and industrial films. I even did the first Raid bug commercials. Hal Mason and I did the work. I did the board in 1953 and we did it on spec. We sent it to the agency and figured that's the end of it. They loved it and we did them for seventeen years. I boarded them, layed them out, painted the backgrounds, did everything but animate them. Tex [Avery] came in on the last batch done in color. I then worked at Hanna-Barbera and a little bit of every place in town. I guess that about covers it up to now. Q: What actual art schooling did you have, if any? BG: Lots of it. I went to Chouinard, mostly nights, and then I went to Bistram School, New York Art Students League and Jepson School in Los Angeles. Quite a bit of art training there and over the years. Q: Why and how did you break into this business? BG: Well, I knew a guy, Hardie Gramatky, who worked at Disney's, when I was in high school. He got me in there, he and Don Graham. They thought I had potential, so they greased the pole for me (laughing). The first film I worked on was THE OLD MILL. I started as a checker on that and then I went into production on SNOW WHITE. Q: What does a layout artist do? BG: Well, he plans the whole thing. Whether it's a sequence or a commercial, or whatever it is, he plans it. He sets up the characters in their positions. He designs the sets and the background. He also works out the mechanics somewhat, such as the pan lengths. He kind of analyzes what's to be done and then picks a simple way to do it. That's what I'd say. He just plans the picture before the director gets to it. Q: Can you name some films that you think have good or bad layouts? BG: Oh, yeah. At Warners, the old "Termite Terrace," they had good layouts. And then the UPA "Magoos," were great. Q: Can you think of some film that might have what you consider poor layouts? BG: Well, yeah. The "Popeye" stuff we did in the Sixties [for King features] and the "Magoo/Tracy" things [UPA for TV]. They were okay but there weren't any stories. There was nothing much to work with. If I was doing a bad layout it was because of a bad story and too much of a rush. Q: What would make a bad layout? BG: The layout just doesn't function, or the cuts are bad. There's no or inadequate hook-ups to other scenes and no motivations. Things just happen for no reason. That's a bad layout. Q: When does a layout artist usually get involved with the project? BG: Usually after the board is done. He takes over from that. Q: How much assistance do you get from like the director or the storyboard artist? BG: Well, quite a lot on good boards. Even if they're not good boards, you have to make 'em work anyway. But it's usually enough to jump off on if the board guys are competent enough to tell the story. You can take liberties within that story, but basically it's all there. Then it's just a matter of shifting elements a little here and there so that they'll work in animation. Q: As a layout person, where do you think your strengths are in the layout? BG: I think in just setting up simple scenes that save a lot of money. You know, getting the effect without doing the work. Like camera mechanics, if you can accomplish the effect without getting heavily involved in the mechanics you save the production a lot of time. I can simplify the mechanics. I'm also good at drawing. Q: Does the layout artist need to know mechanics? BG: Oh, yeah. Well, he can get by without it but I don't know how. You almost have to think mechanics, like pans, the speeds, hook ups (how to get from one thing to another), etc. And how to have things hook up, even if it's way down the line in the picture. Q: In an average day, what do you do? BG: Well, I do maybe four or five scenes. I do the backgrounds and the characters and some kind of notes on color or this and that. It's just to pin down the scene for the animator. He takes that character drawing and all he's got to do is just touch it up a little. He's got it made! I try to play up the characters, the animation. Keep it in the clear, that's my word. Because the name of the game is animation. Backgrounds should hold their place and enhance the animation. Avoid things like tangents and dark on dark and light on light. Q: Do you ever use reference? BG: Well, yeah, I do. I go to the library and I try to research the scene. Even if it's a design of some goofy looking thing, it's still got to be based on some kind of reality. Sometimes I'll invent the whole thing, but most of the time I will get some research or remember something I've done in the past. Q: How are realistic layouts different than broader, cartoony layouts? BG: They're harder. That, and they never look right for some reason. It's just too close to live action. No matter how well drawn it is, it just doesn't look right. In a cartoon you can get away with murder, because it's imagination. Realistic ones are the hardest things I ever did and I did a lot of those real things at Hanna-Barbera and Filmation. They never look right. They look like puppets. They look like they're frozen. It's just something in the translation. Q: How much freedom are you given on average productions? BG: Well, as much as you want, as long as it doesn't go too crazy and as long as it tells the story. You can re-stage a little here and there to make it better. And that's where we have flexibility. But you can't depart too far from the boards because that's what everyone else refers to. If it's too far off, they're going to say, "what is it?" And I've seen it happen with some! Q: How would you say doing layouts for the shorts, or Disney features differs from television? BG: Well, you had more time to pin them down back then, especially on the features. And also, you worked over all of them, rather than in TV where you do a section here, and a section there. Doing the whole thing is a lot easier to do. With UPA we took even longer because they were so designed. It makes a big difference, that few days here and there. Q: Do you enjoy working with more designed boards? BG: Well, it's all different. I like them all. I've done everything from straight shows to wild and crazy Bullwinkle. It's all drawing, just different kinds. Q: What project or work has given you the most professional satisfaction? BG: Well, there were a bunch of them. I mean different things. Like for instance the early "Termite Terrace," the UPAs, and the Fifties where I did nothing but commercials and industrial films. We did a thing for NASA, which raised the money for the eventual moon trip. I worked with Frank Capra for a year. We designed capsules, the suits, the whole bit, from imagination. Then NASA and the engineers built it. Q: What have you worked on that you thought was a failed project? BG: Well, one of the biggest I can think of off hand, were those so called features we did where we used old stuff and new stuff. They were nothing but bridges between old cartoons. You can't do it because the characters were bigger in the old days and then you suddenly got a different, more recent short and had to try to hook those things up. It was murder, and it looks it. It was just a patch job. The stories were okay, but it was just the look and that continuity. Q: If you were to start today doing layouts, what sort of training would you suggest? BG: Well, if a kid hasn't been to school, I'd say go to school. Go to a place like CalArts or Otis or USC or UCLA, somewhere that stresses drawing and design. Drawing is the basis of all this business. You can't get too much of it.